Hemsworth’s parliamentary constituency could be abolished under plans to tear up the country’s political map. The town, which is represented by Labour’s Jon Trickett, would become part of a new Barnsley East and Hemsworth seat which would span parts of West and South Yorkshire. Under proposals by the Boundary Commission, Pontefract and Castleford, which are in the constituency of Labour MP Yvette Cooper, would also be split into separate seats. 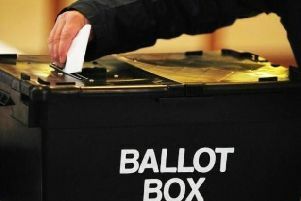 A new Pontefract constituency would be created to include South Elmsall and South Kirkby. The changes are being proposed under government plans to cut the number of MPs in the House of Commons from 650 to 600. A consultation will be held before new boundaries are finalised before the 2020 general election.